There’d been a gap of over 2 years since his last LP, ‘Fulfillingness First Finale’’. 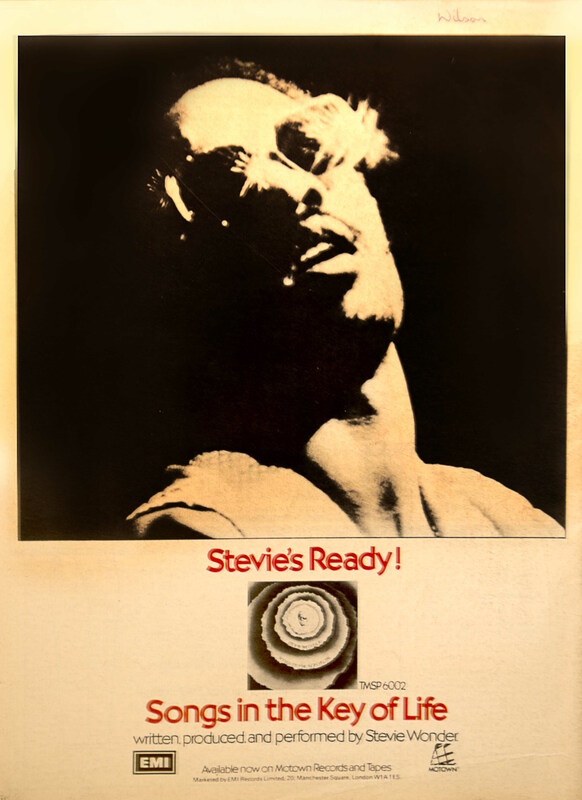 This had been one of a trilogy of classic Stevie albums released between ‘72-’74, along with ‘Talking Book’ and ‘Innervisions’, so, being widely acknowledged as the greatest black artist of the era, much was expected of his new material. He didn’t disappoint – for here was a singer / songwriter / producer on the most exalted of levels. ‘Songs In The Key Of Life’ is now generally considered to be his crowning achievement and, although he continued to enjoy commercial success, things never quite got this good again on a creative level. 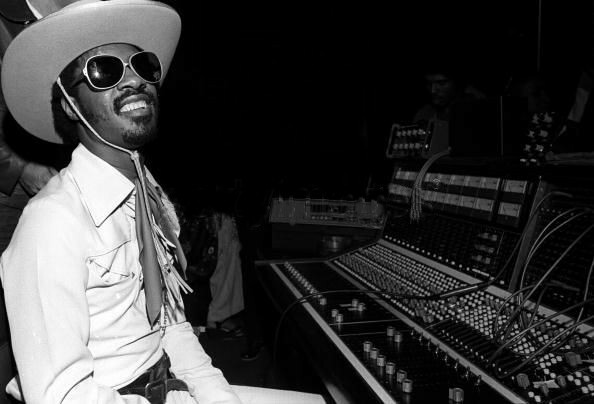 It completed a hat-trick of Album Of The Year Grammy awards, following on from previous winners ‘Innervisions’ (1973) and ‘Fulfillingness First Finale’ (1974), and sealed his status as one of the greatest artists to ever grace a recording studio. 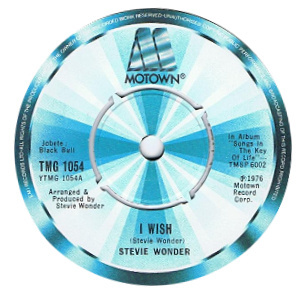 ‘I Wish’, a funky ode to carefree childhood days, was the first single pulled from ‘Songs In The Key Of Life’, going on to reach #5 in the UK whilst topping the US chart. At this point Wonder, despite having a whole array of UK hits throughout the previous decade, had never had a #1 in this country (this would eventually come via 2 of his insipid early ’80s offerings, firstly ‘Ebony And Ivory’, a duo with Paul McCartney, before he scored his only solo UK #1, ‘I Just Called To Say I Love You’ in 1984). It’s likely that if ‘Isn’t She Lovely’ had been issued on 45 the solo UK #1 would have happened 8 years beforehand. The next 7”, ‘Sir Duke’, a tribute to the Jazz legend Duke Ellington, would also top the US chart, whilst stalling at #2 here. 2 further 45s would follow, both popular with the more specialist DJs – ‘As’, an epic that commences in a gentle laid back manner before reaching almost biblical fervour as it builds to its climax, and ‘Another Star’, the 4th and final track pulled from the LP. Away from the single selections there were more much-cherished cuts, including ‘Passtime Paradise’, ‘Knocks Me Off My Feet’ and ‘Love’s In Need Of Love Today’. Sadly, the next generation would come to know Stevie Wonder not from his brilliant ‘60s output, or the conscious nature of his remarkable ‘70s albums, but via his mawkish multi-million selling single ‘I Just Called To Say I Love You’, which topped the charts throughout the world and won him an Academy Award in the process (for Best Original Song – featuring in the film ‘The Woman In Red’). 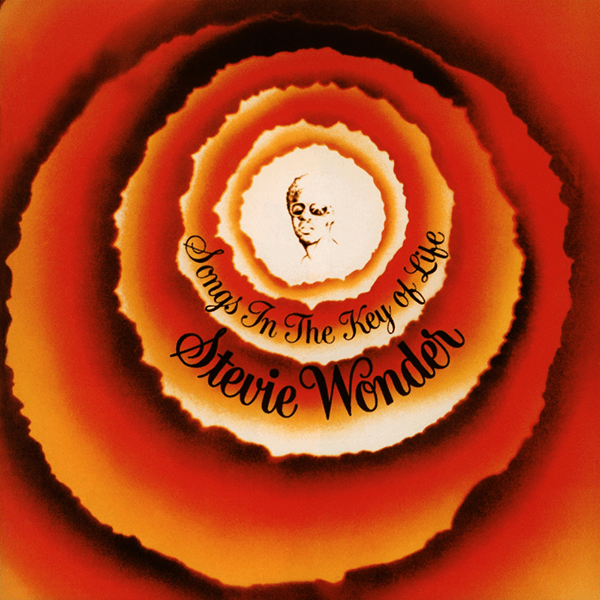 It was huge, way too huge – syrupy and sentimental, it simply doesn’t reflect the depth of this musical giant, yet this is the the tune that would become most associated with him and, as a consequence, Stevie Wonder was no longer cool – a major musical travesty when you consider the breathtaking body of music previously released by this iconic artist.